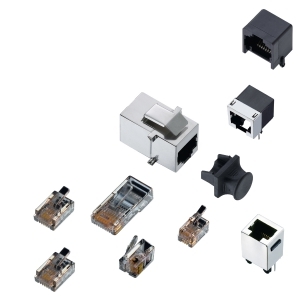 Jack connectors, mating compatible acc. to JISC 6560, three sizes, mono and stereo. Wide range of cable and chassis parts. 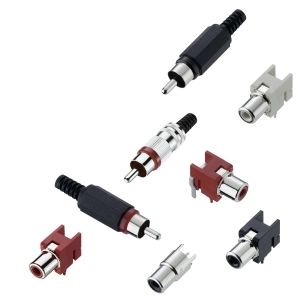 For signal currents up to 2 A.
RCA connectors (also referred to as Cinch connectors), compatible to JEITA RC-5231. For signal currents up to 2 A. Universal serial bus interfaces acc. 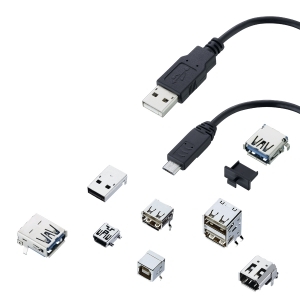 to USB 2.0 specification for transmission rates of up to 480 Mbit/s and digital video interfaces acc. to IEEE 1394 for up to 800 Mbit/s, also known as FireWire or i.LINK. 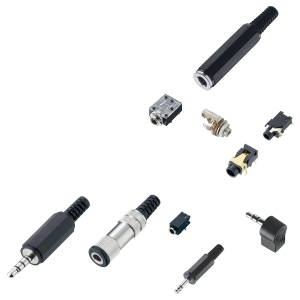 For signal and low load currents up to 1 A.
Modular plugs for flat and circular cables, chassis sockets for THT and SMT soldering. 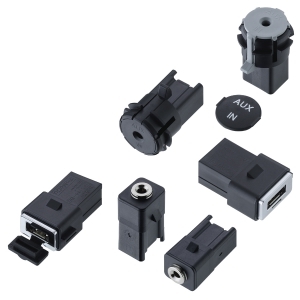 For signal and low load currents up to 2 A.